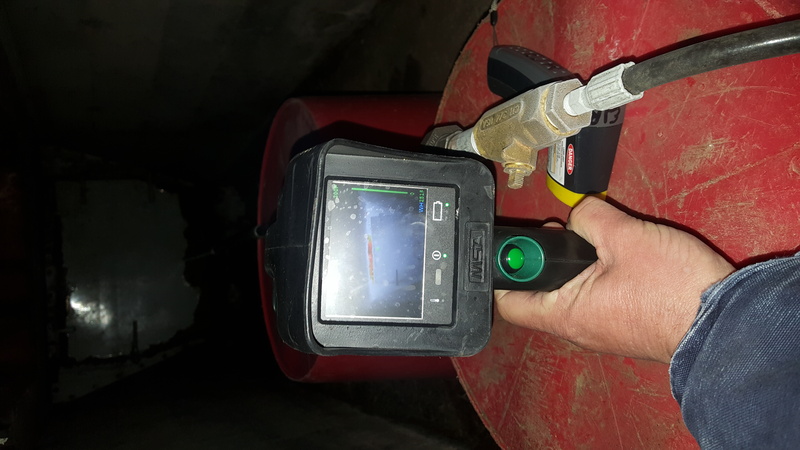 In the late morning hours of Friday, January 27, 2017, farm staff found fire in a 20’x60′ concrete block oxygen-limiting silo on a farm in Whitemarsh Township, Pennsylvania (just outside of Philadelphia) during morning feeding operations and they summoned the fire department. The Barren Hill Fire Company and their mutual aid responded and realized very quickly that this incident was going to be outside of their knowledge, training, and skills. However, when they got to the scene, they immediately operated in a deliberate and measured manner that was within the limits of their training, knowledge, and experience for the given incident. They immediately established a safe perimeter, assuring the safety of responders and the general public, and they then requested the specialized resources necessary to mitigate the situation. Silo fire specialists affiliated with the PAgricultural Rescue Training program were contacted and after discussions on the phone it was decided one of the specialists would respond to the scene and would arrive in roughly 1.5 to 2 hours. The fire company was advised to take a “stand back approach” until the specialist arrived. Upon the specialist’s arrival, working with the fire department and farm staff, the structure was further assessed and it was determined that there was a large volume of fire just above the bottom unloading mechanism. After determining the location and volume of fire present, the specialist contacted several colleagues via phone to develop an incident action plan based on best practice models and the specific situation. 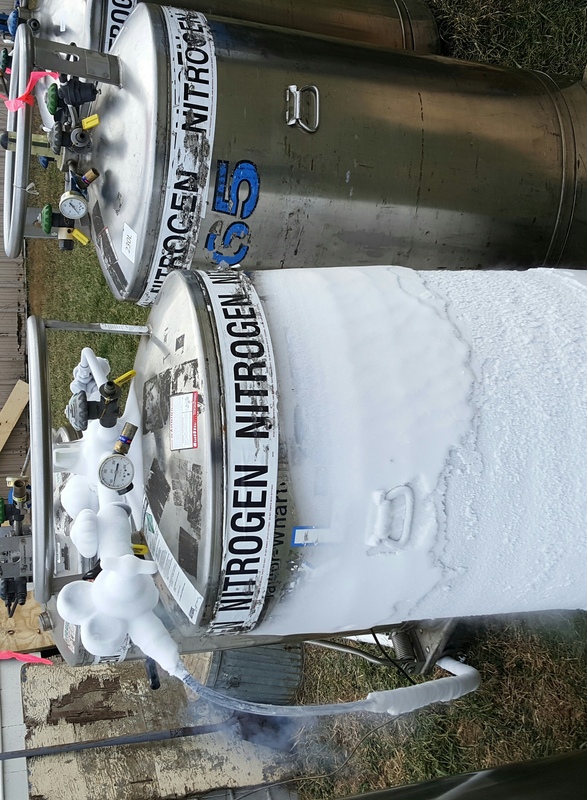 The decision was made that this silo would need to be inerted with either carbon dioxide or nitrogen, and after further evaluation the decision was made to use nitrogen. The plan was discussed with the farm staff and was agreed upon. 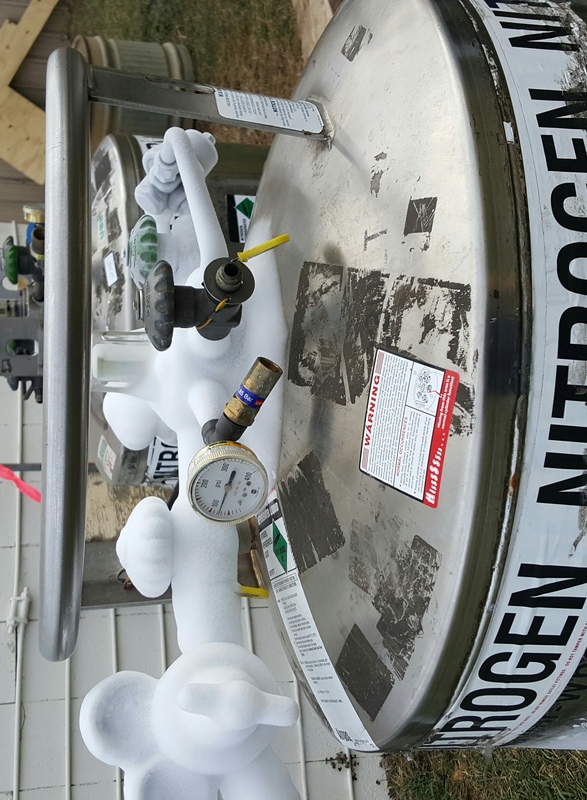 The farm staff contacted a compressed gas supplier to deliver the product. 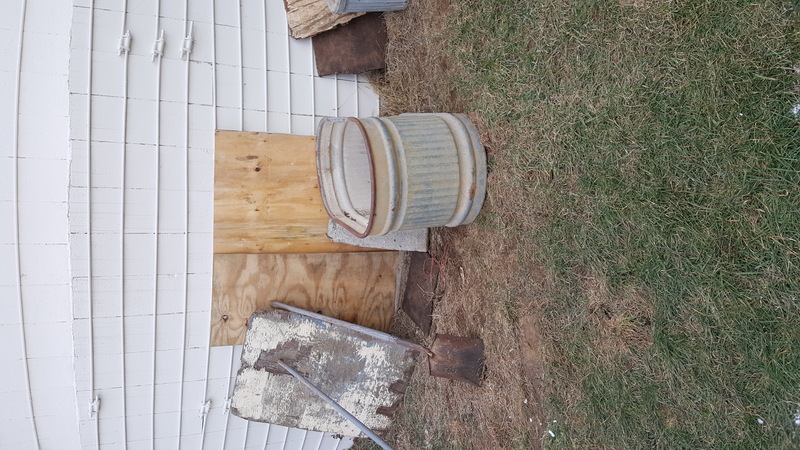 This silo, unlike some, did not have a dedicated gassing port that could be found, therefore this had to be created and the Whitemarsh Township public works department was contacted and responded with drilling equipment. A hole was placed in the unloader service door. Gassing was commenced using a hose and pipe system provided by the silo specialist. At this time the fire department was released from the scene. 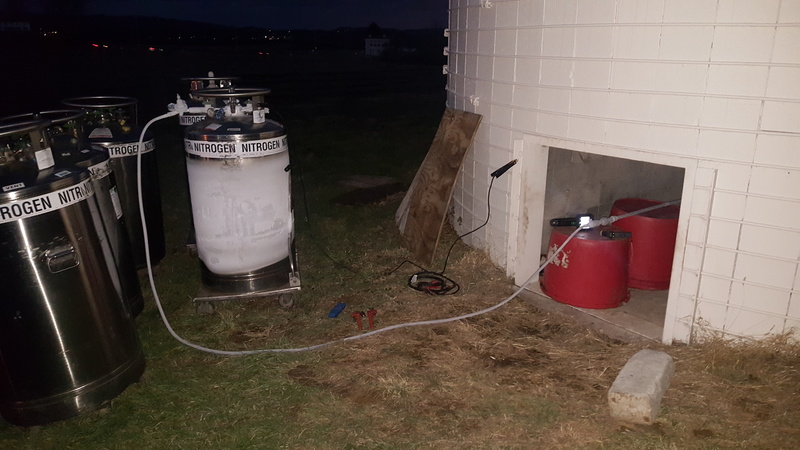 Gassing continued for approximately 22 hours and was monitored by the farm staff. Late on Saturday afternoon, the gassing operation was ceased with a significant drop in temperature. 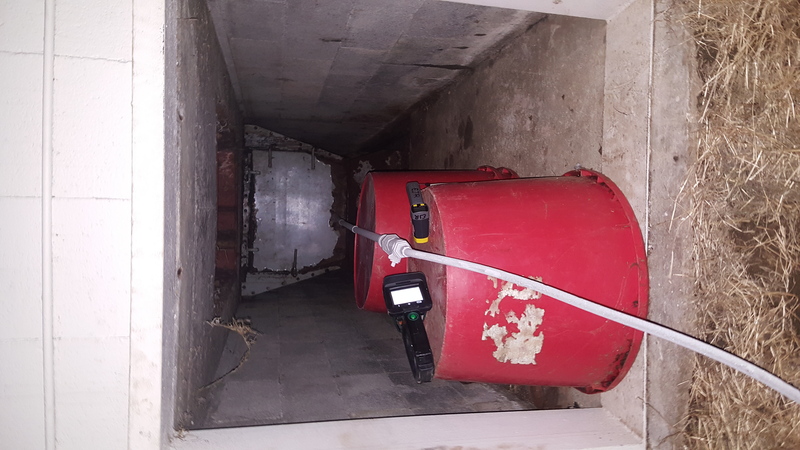 The local fire department returned to the scene for a brief period to assist in evaluating the conditions at the time, after which the silo was sealed as best as possible. 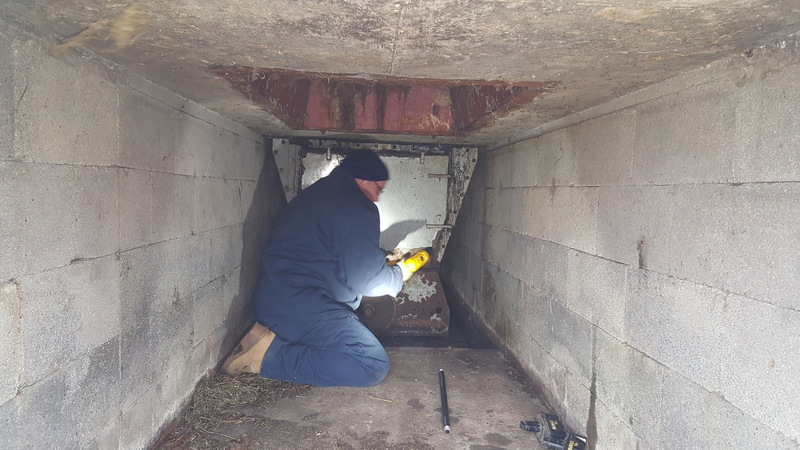 B ecause of the desire to keep the silo as air tight as possible, it is not clear whether this operation was successful at this time and the silo will be monitored by the farm manager/staff. There is a potential that the contents may continue to burn, however, it will remain closed for a period of several weeks and then will be reevaluated. The farm manager and staff were given instructions by the silo specialists and their silo repair company on how to monitor the silo and what actions to take based on their observations. In general, there are no known or suspected threats or hazards to the general public, and this was an excellent example of responders and the farm staff working together to limit the damage and loss to the farm operation that resulted from the fire. Thank you to the Barren Hill Fire Department, Whitemarsh Township staff, as well as the farm staff for a safe and effective response to a potentially dangerous situation! Note: Story and photos are ©2017 – RescueTechs/Eric J. Rickenbach and property of the author. Permission for use is granted with proper credit. ← What’s Your Vehicle Rescue Resolution?